Here’s another great project from Tervis. 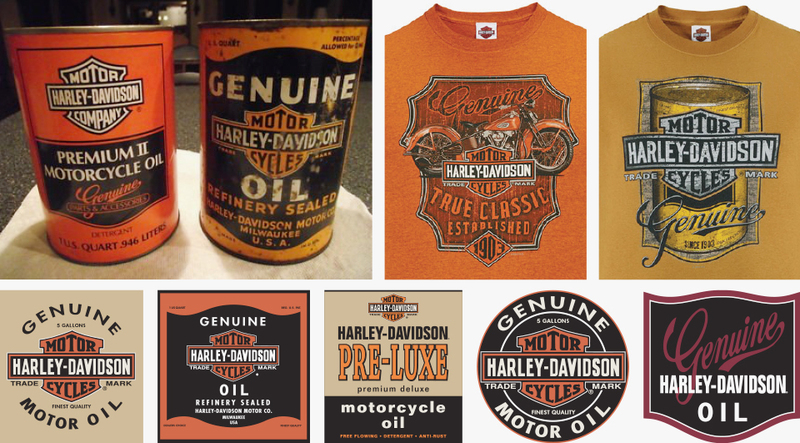 I love working with clients who know exactly who they are and Harley is definitely one of those iconic brands. 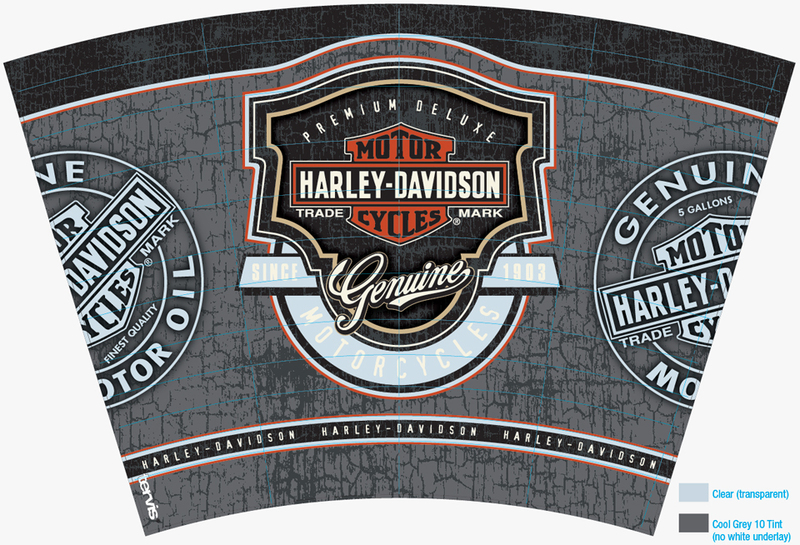 Harley-Davidson has been around for over 100 years and they wanted to draw from their deep heritage for this design, specifically their vintage motorcycle oil can. 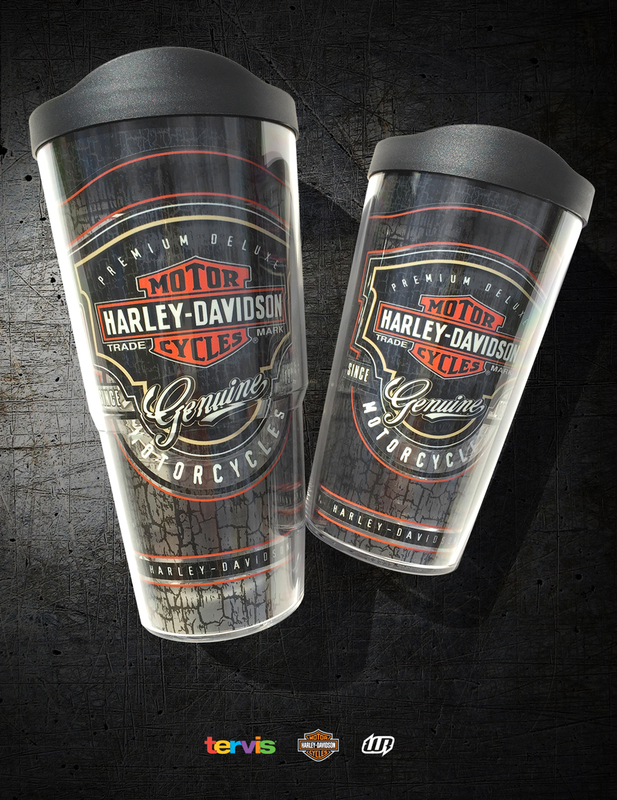 Tervis supplied the references and artwork below and with a clear look and direction I was all set. Conscious of over designing (and over thinking), I took elements from the oil can, from the shapes (curves and borders) to the textures and colors. The only other design element to keep in mind was the application. This piece would be printed on a transparent surface that wraps around their product. Below is the final artwork submitted and the samples I received (16oz and 24oz tumbler). Thanks Tervis! Love the classic design on this tervis tumbler. Is there anywhere I can buy it in 24 ounce? Jamie, Thanks for the props. Some Tervis designs are for specific accounts (Target, Wal-Mart, Kolhs, Bed/Bath) and some are exclusives for smaller businesses… this may be the later since I didn’t see it on their website. Tervis has a great customer service, I’m sure they can help. (866) 886-2537. By the way, I’m currently working on two more Harley Designs for them. One mass retail and one exclusive… stay tuned.